There are currently 87,409 users on this website. 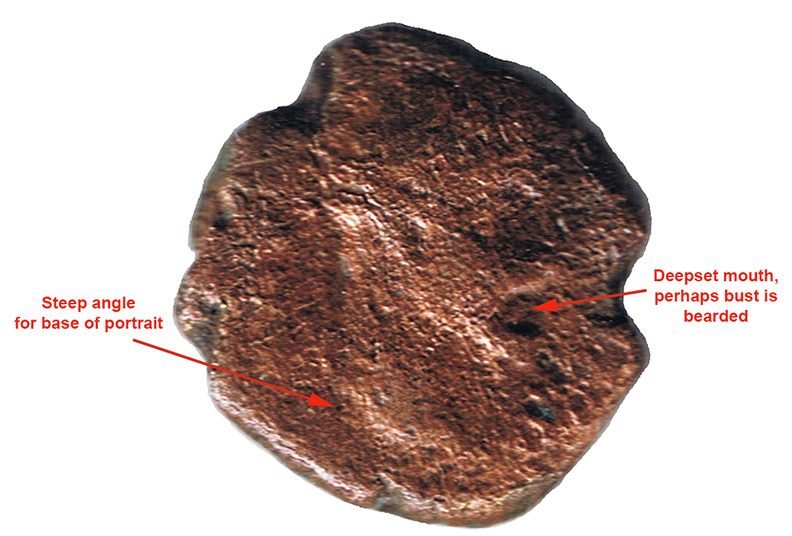 My best guess is this is a Roman coin. Somewhere between 1st and 4th AD. Taking into consideration coin's condition, can anybody do any more precise identification for it? Sadly this one is too far gone to fully ID. Completely agree, but it is often still fun to take an inventory of what we can see and determine - even if the incompleteness of the puzzle can be maddening. I see a female, robed, figure in very pronounced contrapposto pose for the reverse. I see a hair bun. There may also be something on top of the head - perhaps a kalathos. Perhaps Homonoia/Concordia? She is holding out something, at hip height, to the left. Perhaps a patera? The top of a cornucopia is just barely visible, as are the remnants of a legend around the perimeter. Granted, even assuming the above observations are correct, it may still leave a number of possible attributions. However, it will have also ruled out many thousands of others while perhaps also suggesting a provincial. 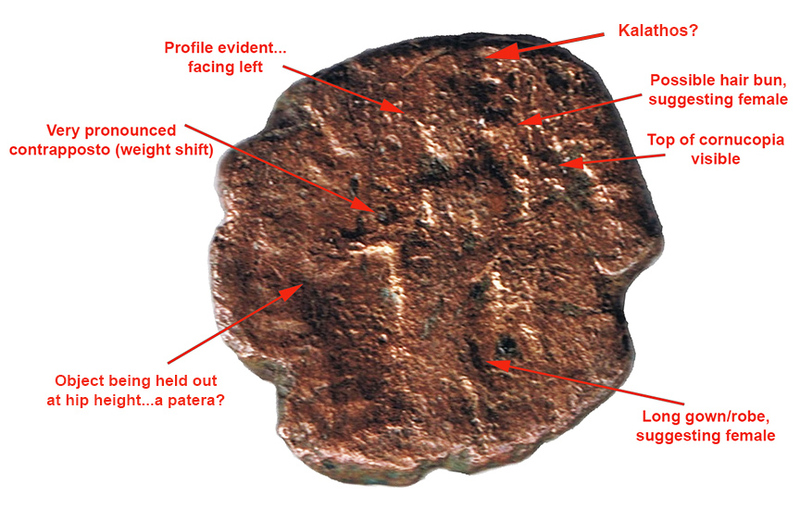 It's going to be next to impossible t ID this coin, I would venture a guess of possibly Claudius II or Gallenius. Can you share the size and weight with us? Thank you folks for really quick and detailed replies here. The size of the coin (or whatever left from it) is about 12mm max. The thickness is 2.2 mm. However, the weights are unfortunately out of my reach at this moment. I bought this coin indeed for identification fun rather for anything else but apparently overestimated the variety of ancient coins vs. the quality of mine. So, any help or hints are very much appreciated. I'd start with a provincial coin of Septimius Severus - that's your best bet with that head shape and beard. 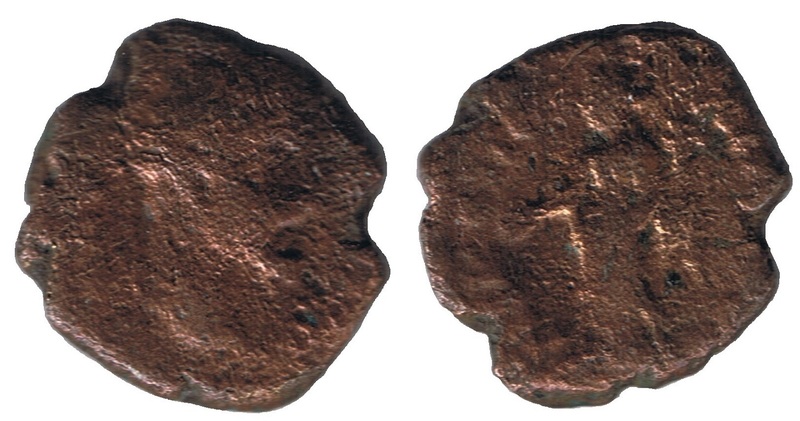 Or perhaps a beat up antoninianus of Claudius II Gothicus (official issue or barbarous imitative) something like this? Thanks a lot every body for the help. Especially to Bob L for extra effort and strong lead. Bob L is very good at these things arok, I don't think there is any more to be added at this point. It can often be a toss up between Phillipopolis or Nikopolis when the legend is virtually gone, the first letters are ofcourse the giveaway as well as a longer legend. Here is a rough example of mine from Phillipopolis ( Sep Sev ) that looks a lot like yours but NOT the same. Yes. My seems to be slightly different from yours, indeed.